Closing is, undoubtedly, the hardest part of the whole sales process. Even the best salespeople have to try hard and invest a great deal of effort into getting their prospects to seal a deal. The math is simple: no matter how much time you spend romancing your potential customers, the only thing that counts is making quota. Failing to hit your targets will hurt your bottom line, and nobody cares whether you went out of your way to sign a new customer if your plan went through. 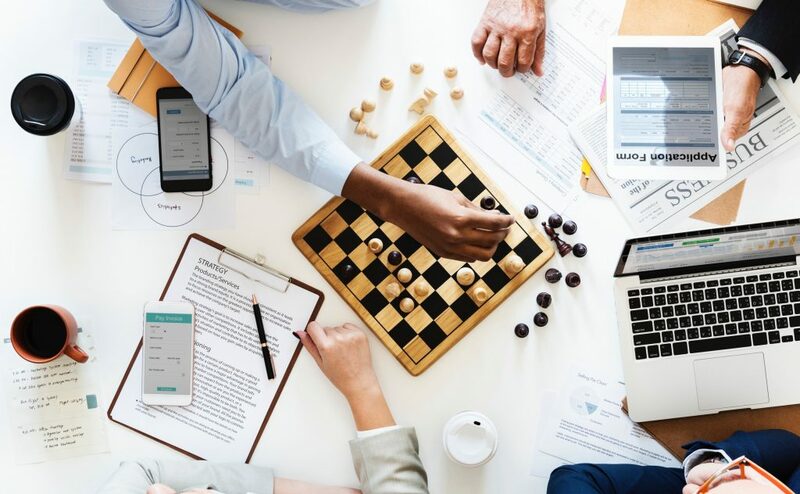 The main problem lies in the fact that sales and closing tactics can’t exactly be learned at business school, and that it’s a fluid process which usually requires an ad-lib approach, fine-tuning, and making some bold moves on the spot. Sometimes even relying on your gut feeling is necessary. However, by no means do we advocate a-shot-in-the-dark method. Fortunately, what you can do is avoid some closing mistakes and overcome the challenges on your way to landing new customers. Many sales reps tend to use statements instead of questions when they’re phrasing their closes. By formulating your intention in such a manner, you give your prospect an opportunity to respond in a number of different ways. So, always go for direct questions which require pretty straightforward answers, and remember that statements won’t close you many deals. Let’s be honest and admit that selling can turn into a fairly uncomfortable activity if your fears and insecurities surface and get the better of you. The adrenaline rush and excitement easily morph into jitters and cold feet. Once this happens, you subconsciously become more focused on how to get the prospect to like you and you stop actively listening to them, and the next moment the needs of your prospect are lost on you. Subsequently, your plans fall through and the prospect begins slipping away. To avoid the previous, worst-case scenario, let that discomfort and unpleasant feeling grow on you. Get used to a number of uncomfortable situations which you’ll have to deal with throughout the sales process and say to yourself “Challenge accepted!”. All these trials and tribulations come with the territory. Don’t feel insecure when the conversation comes to a halt when you say the price. Yes, that awkward silence can be extremely loud, but don’t get fidgety and stop trying to justify yourself. The best policy is to simply let the information sink in and leave your prospect with their thoughts. Of course, it’s extremely difficult to put a sock in it and sit quietly when you think that your prospect needs a little push towards accepting your proposal, but self-control is the key in this situation. Said that it’s also a bad idea to try and soft-pedal this sensitive issue. This elephant-in-the-room approach won’t get you very far because sugarcoating will make you look as if you yourself aren’t convinced that your product or service is good enough and that it’s overpriced. So, embrace the discomfort and don’t be afraid to take no for an answer. After you’ve learned to love the discomfort, it’s time to let your prospect deal with their own feelings too. First of all, if you make things comfortable and put no stress, your prospects won’t feel the urgency to close the deal. It’s your job to push them out of their comfort zone and make them realize that your offer is something they shouldn’t miss for the world. This is not a time for creating a zen atmosphere of calm and balance. No, you should openly remind your prospects about their pain points and issues, and at the same time tease them with a solution which is right in front of their nose. They should only stretch a bit more, grab the remedy you offer, and get rid of the thing that bothers them and their business. So, just like you need to accept the discomfort, it’s important not to make things easy for your prospects because you don’t want them to think that they don’t actually need your help or that they can take their time when making a decision. This is a mistake which gives salespeople a bad name. It’s true that persistence should be your most important weapon, but if you’re not careful, it’s very easy to transform into that pushy person who never stops talking. Active listening is another super important item in your personal, and after a few insightful questions, you should let your prospect do the talking, and pay close attention to what they’re saying. It’s no secret that people enjoy talking about themselves, and certain research studies even found that this activates the areas of the brain involved in the reward system. As a result, they experience pleasure while talking about themselves. Your prospects are no different than the participants of this study, and you should take advantage of this psychological trick. Besides, active listening will give you a valuable insight into your prospect’s values, needs, and everything else that makes them tick, thus enabling you to come up with the best solution. Finally, there’s no better way for building loyalty other than lending your ears to someone. As simple and naïve as this whole strategy may seem, it shows your prospects that you’re genuinely interested in their business and that you want to help them. Many salespeople try to push their agenda and go for a final close during the early stages of the process, presumably because they think that the conversation is going smoothly. This is a lethal mistake which can kill the potential sales. There’s a good reason why the sales cycle is called that way. You need to go through all the stages, get to know your prospect, help them explore your product or service, and knowingly direct them towards understanding how they will benefit from your offer and why what you have is better and more suitable for their business than what your competitors have. You can speed up some of the stages, but you can’t and shouldn’t skip any of them if you want to close. This is particularly the case when it comes to cold outreach. By flooding your prospects inbox with bland and impersonal messages that are visibly created in order to be used for mass emailing, you’re reducing your chances of even being taken into a serious consideration. It’s important to start personalizing from the very beginning and send your prospects meaningful messages that they can relate to. 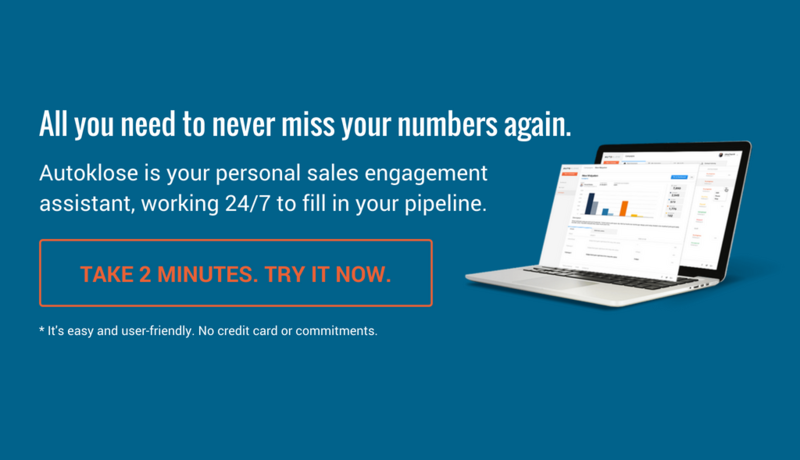 We can’t deny that sales reps are extremely busy and under a great deal of pressure to hit their sales numbers and it’s beyond possible to compose and send individual email messages. But, email automation, if done properly, can help. Slashing your contact list and creating small segments is a good start as you can personalize your emails and catch your prospects’ attention. In addition to all these functionalities, Autoklose also offers a number highly-customizable email sequence templates for various business situations. You can select how many follow-ups you want, schedule a campaign, and your prospects will receive emails which don’t sound as if a robot composed them. If your initial email isn’t good and intriguing enough, you won’t even be able to reach the closing stage, so never underestimate the power of the cold outreach. This is a serious mistake because it usually takes about 5 attempts to schedule a meeting with your lead. And a great deal of sales reps, 40% of them to be more precise, give up after only 1 (one) follow up. But, isn’t that too pushy, you ask. Well, if you don’t receive a reply, it surely isn’t. Only after a prospect tells you to stop emailing or calling them, should you leave them alone. Unless that happens, your only concern should be to check whether their email address is valid and you’re good to go. Also, following up is about knowing where you stand, especially if a prospect procrastinates and asks for more time. Do not never ever fail to follow up with a prospect who says “I need more time.” Make sure to establish how much time exactly, and inform them that you’ll reach out to them after that period. Mark this date on your calendar, and don’t wait for them to contact you first. This will save you from that dreaded salesperson limbo – the maybe zone. As a result, your sales funnel won’t be packed with indecisive leads who could linger there for a couple of months and never close. A good sales reps are even better psychologists. Mirroring someone is essential for establishing a close rapport, and it is, in turn, of vital importance for building a closer connection with your prospect. Observe your prospect and analyze their non-verbal communication and body language and try to mirror it in a natural and not too obvious manner. Listen to them carefully and notice their vocabulary, phrases, and even tone of their voice, and subtly throw in a word or phrase that they’re frequently using. This way you’re helping them perceive you as a friendly person that they can easily relate to and connect with. Speaking psychologically and metaphorically, you need to learn their language and start using it. There’s also another way of mirroring your prospects, on a deeper and more profound level. You need to have a very deep understanding of their situation and motivation for this tactic. With all the information you’ve collected and analyzed, you should put yourself in their position and ask yourself what value your product or service can provide to them. If you have a clear and sincere answer to this question, you can direct your sales pitch and presentation towards it. This seemingly discreet approach is actually an evasive one, and it won’t get you very far. In order to get answers you need, it’s important to ask very direct questions. A sales rep who asks “What do you think about my proposal?” most probably won’t get the answer they expect. Besides that, such an indecisive and vague question fails to use action words which prompt prospects to take an action. The previous question should sound like this: “Can I expect you to sign the proposal today?” This wording reflects a clear objective, and it requires your prospect to give you a very straightforward answer. Again, such a soft approach stems from the fear of hearing the scary “no”, which is why salespeople resort to using the language which isn’t direct and which doesn’t put any pressure on their prospects. But, by doing so, they actually come off as if they don’t exactly know what they hope to get out of their prospect, thus confusing them additionally. If you want something, you need to ask for it without trying to lower your voice and mellow your attitude. Persistence is a two-edged sword, so be very careful how you use it. If a prospect says no, don’t try to argue or change their mind because this way you’re only hurting your chances of ever having an opportunity with them. Maybe they just think it’s too early or they need more time to think about everything, so by gracefully accepting this rejection, you won’t prompt them to close the door on you. Of course, if you think that there’s something else that you can offer, go for it. By being able to take a blow that a “no” definitely is, you won’t cramp your own style, and you’ll increase your odds of getting a big, fat “yes” the next time. We Call it: The Autoklose Template Analyzer!